President Masoud Barzani of the Kurdistan Regional Government (KRG) has revealed that the independence referendum scheduled for September 25 will be followed by presidential and parliamentary elections in November. The announcement is expected to increase the displeasure of Baghdad and other regional countries such as Turkey and Iran over the plan of the semi-autonomous region to gain independence. The Kurdistan parliament, which has not held a session since 2015 due to partisan conflicts between the Kurdistan Democratic Party (KDP) and the Gorran (Change), is expected to sideline differences in order to work towards holding the referendum. Speaker Yousif Mohammed has been barred from entering the Erbil, the region’s capital, for two years. 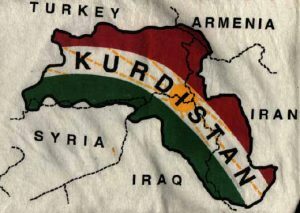 About 5 million Kurds live in majority Arab Iraq, which has a population of more than 30 million. Mala Bakhtiar, a senior member of the ruling Patriotic Union of Kurdistan (PUK), who led a delegation to Iran for consultations ahead of the referendum, said Tehran does not support the initiative. Turkey has also warned that the Kurdish region will “regret” the move, Bakhtiar said. “Our response was that this country has failed to create a common national identity for 97 years so that every Kurd would feel proud to live in Iraq,” he said, adding that there are no plans to delay the scheduled referendum. Written by: Jaber Ali on July 21, 2017. Posted by Jaber Ali on Jul 21 2017. Filed under Headlines, World News. You can follow any responses to this entry through the RSS 2.0. Both comments and pings are currently closed.